Obituary for John L. Schultz | McDonald-Aeberli Funeral Home, Inc.
John L. Schultz, age 72, of Middlesex Twp., passed away on Thursday, April 11, 2019 at Passavant Hospital in McCandless Twp. He was born on March 13, 1947 in Butler, PA to the late John and Helen Marie Grenesko Schultz. 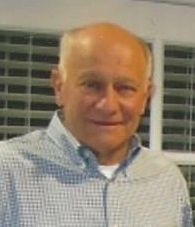 John was a school teacher at Firelands High School in Oberlin, OH, where he taught History and coached baseball and football. He then went in to the banking industry and had worked for Century Federal, Horizon Financial and Northside Bank. Most recently, John worked for USIS. He also loved to coach for the Mars Baseball Association. John loved to coach for the Mars Baseball Association. His favorite pastimes include boating, fishing, hunting, and spending time cheering on his grandchildren at their activities. He loved spending time with his friends and family. John was a member at Holy Sepulcher Church. He is survived by his adoring wife, Betsy Lessner Schultz, who he married on November 28, 1969; father of Brett (Cara) Schultz of Mars, Bethany (F.L.) Geary of Cranberry Twp. and Adam (Melanie) Schultz of Mars,; grandfather of Mitchell, Samuel, Kate, Leo, Evelyn, and Ronan. Also survived by two loving sisters, Margaret (Ron) Kronenberger and Janice Schultz, both of Tallahassee, FL, as well as numerous nieces and nephews.